Three Cheers to the Red, White, and Blue!!!!! 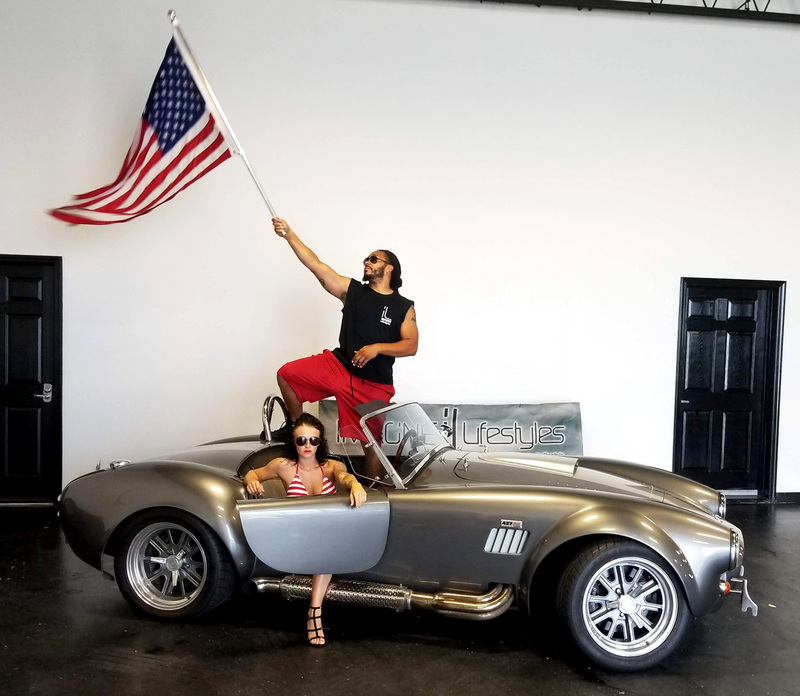 This 4th of July we at Imagine Lifestyles Luxury and Exotic Rentals decided to commemorate our nations’s independence with a Star Spangled photo shoot. Our models, donned in their finest Americana ensembles, made the perfect accessories to our 1965 Shelby Cobra and Chevrolet Corvette Stingray. We debuted them on our official Instagram ( @imagine.lifestyles) but here are the pictures you didn’t see. This sibling displays that imitation is the sincerest form of flattery–showing off that famous Bugatti L’Or Blanc exterior styling. The 2014 Bugatti Veyron Grand Sport Vitesse with L’Or Style exterior finish is available for those who cannot have the one-off L’Or Blanc. It comes in red and black, and also white and blue. 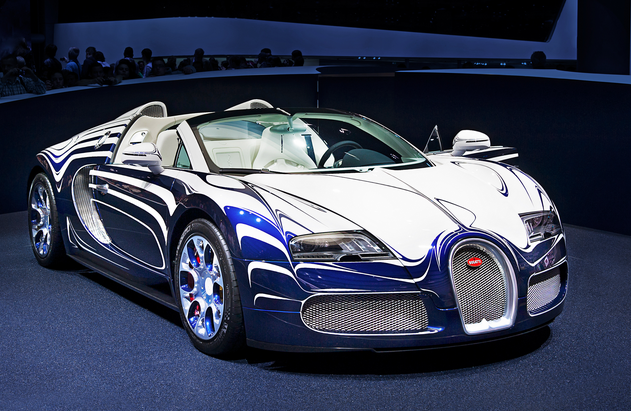 Someone can have a 2014 Bugatti Veyron Vitesse L’Or Style, similar to the well-adored L’Or Blanc shown above. 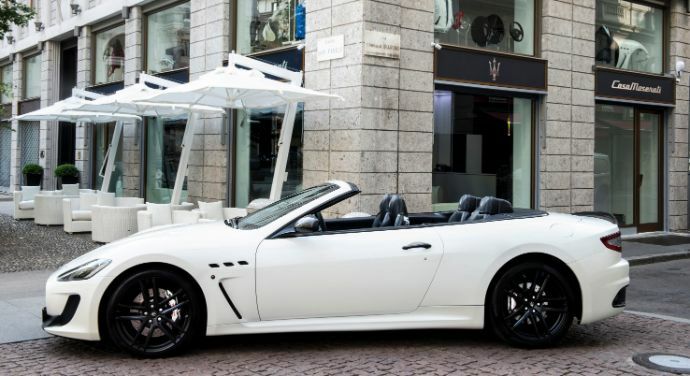 It does not seem that a mega brand like Maserati would require further marketing endeavors—but they seem to be interested in stretching out a bit in a luxurious fashion. The new Casa Maserati fashion house and lounge has just opened in Milan, catering to an exclusive type of clientele interested in a bit more to collect and indulge in by the brand. It seems that at this lounge, exotic sports cars are in fashion. 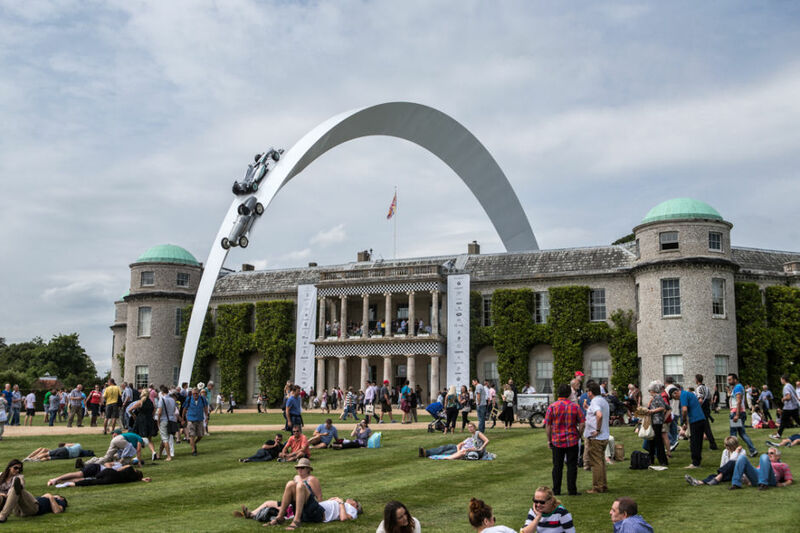 The centerpiece of the annual Goodwood Festival of Speed (FOS) is the central display of immaculate oversized automotive models. This year the central display is absolutely captivating–going above and beyond to celebrate not only all that is automotive, but also the 120th year of Mercedes-Benz motorsport! The wow factor was finished off with a glowing SLS Mercedes-Benz taking to the track for a bit of showing off. They say Andy Warhol was not really much of a car guy, but his works and previously owned vehicles speak for themselves. Now buyers have the opportunity to shop online and pick up just about anything…including an Andy Warhol Rolls-Royce…on eBay Motors. 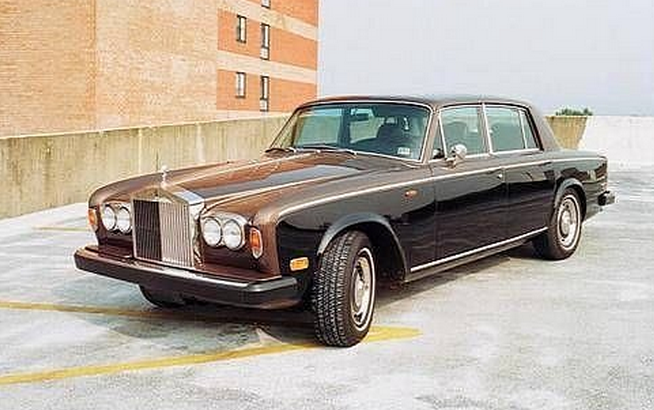 The Rolls-Royce is an unexpectedly muted color for such a flamboyant artist. Swiss artist Fabian Oefner offers a glimpse of unique moments that never existed in real life: Images of exploding cars. The fresh take on automotive art has gears changing around the art world and is certainly generating attention for the extremely innovative artist. 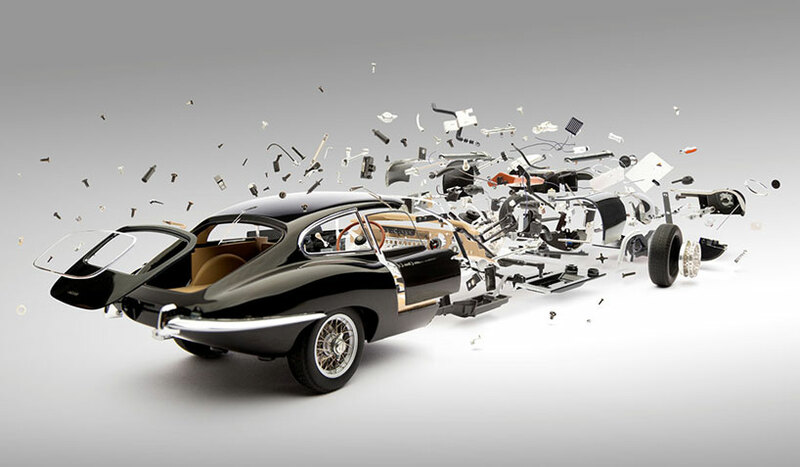 Artist Fabian Oefner takes a bold new direction by taking apart cars, photographing the parts, and then creating a final product that gives the illusion of the car exploding. Fans of the brand can soon experience a rare glimpse into the famously creative Bugatti family. The Art of Bugatti show will open at the prestigious Mullin Automotive Museum in Oxnard, California in spring of 2014. This collection will feature Bugatti cars and an interesting grouping of family artifacts, drawings, art and unexpected items. 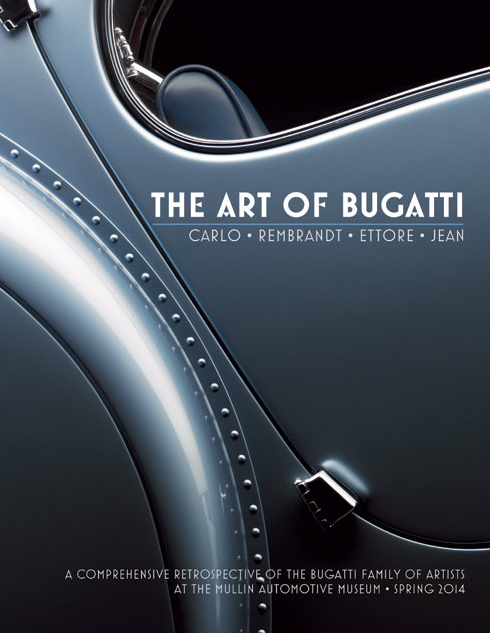 The exhibit is intended to show the Bugatti family’s focus on the automobile as art while showcasing their distinct impact on the industry over the decades.